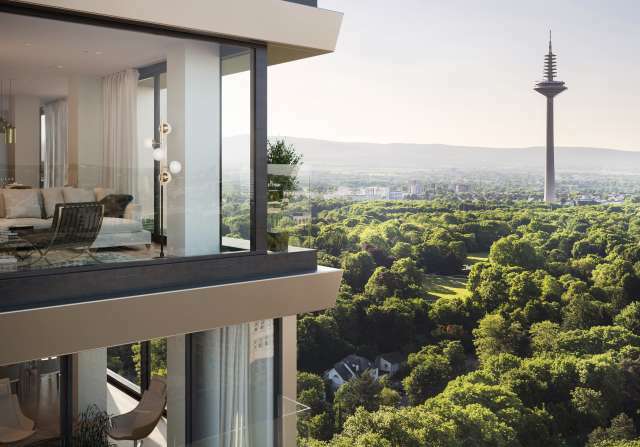 160 Park View is a visionary idea and building project which is redefining the concept of living in Frankfurt. 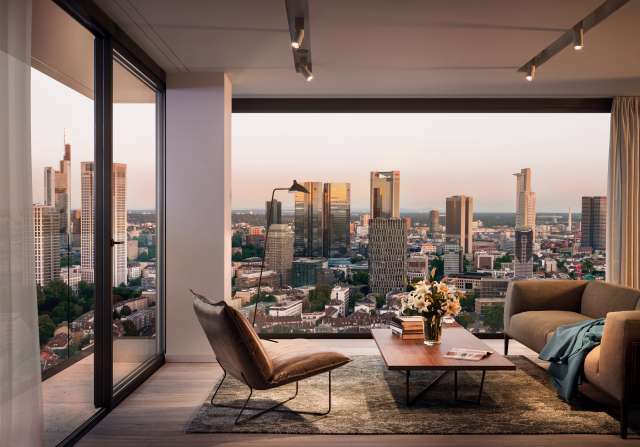 In conjunction with a top-class hotel, what will soon be the tallest residential high-rise in Frankfurt’s downtown Westend district will combine luxurious living with the service of a hotel. 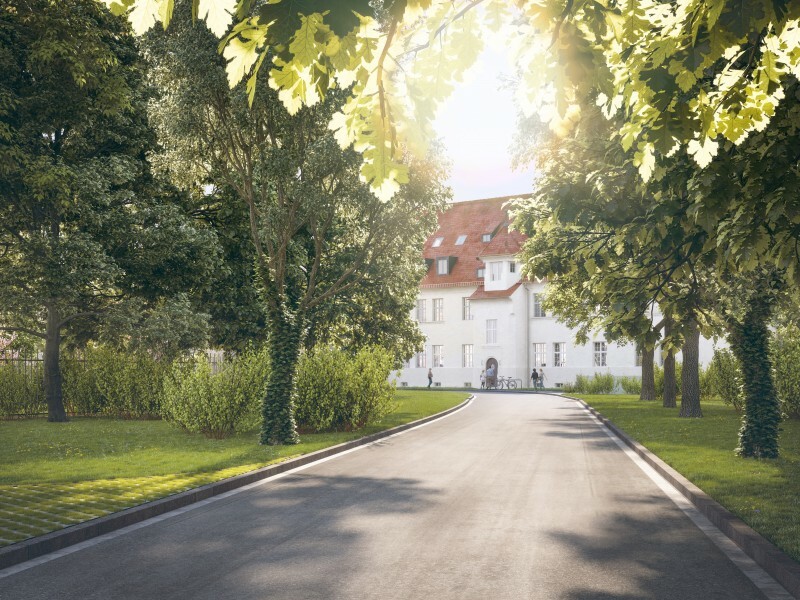 Right next to Grüneburgpark, the largest inner-city park, not far from Palmengarten and within walking distance of the old opera house and downtown, the project site is very central yet surrounded by greenery. 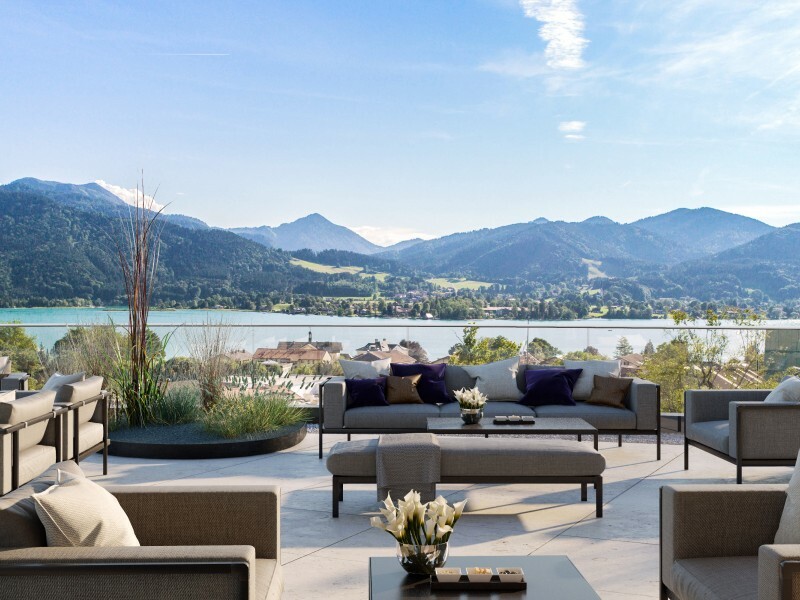 Relax as you enjoy the breathtaking panorama views of the Frankfurt skyline, which will never be obstructed, or let your gaze wander to Taunus, Spessart and Odenwald. 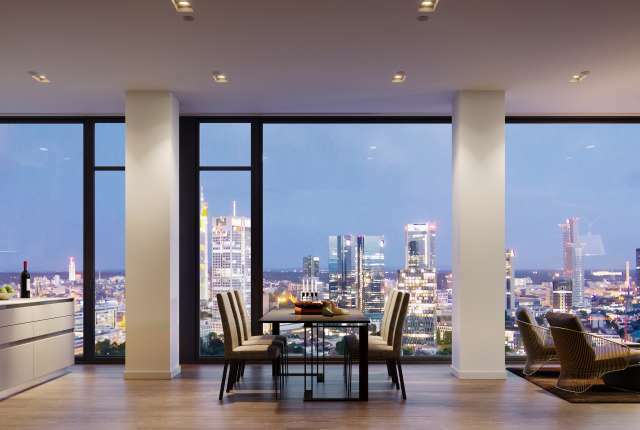 Welcome to Frankfurt’s most exclusive residential tower. 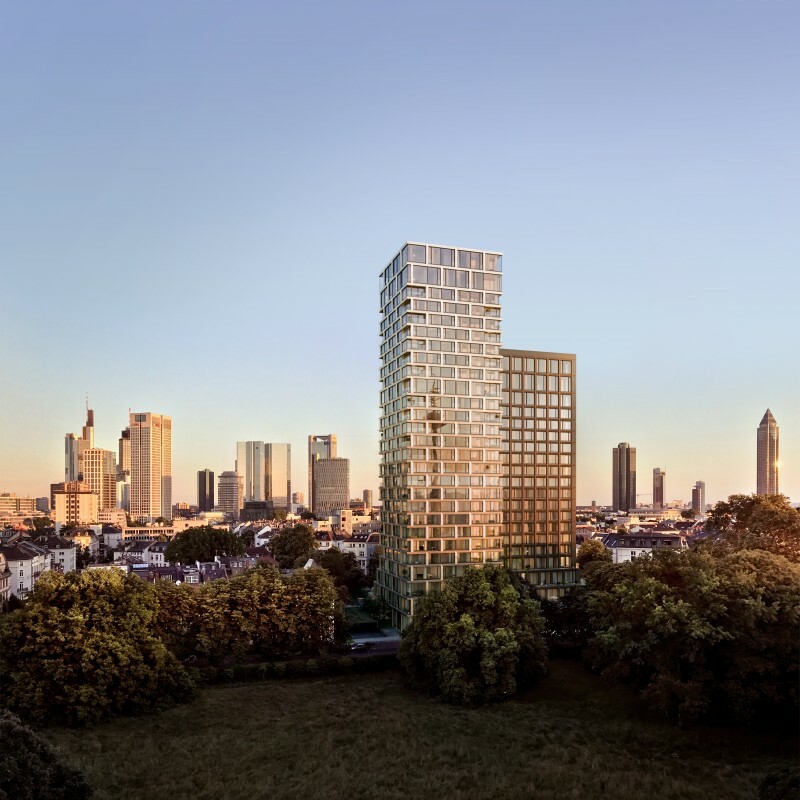 PARK VIEW sets new standards for living in Frankfurt. 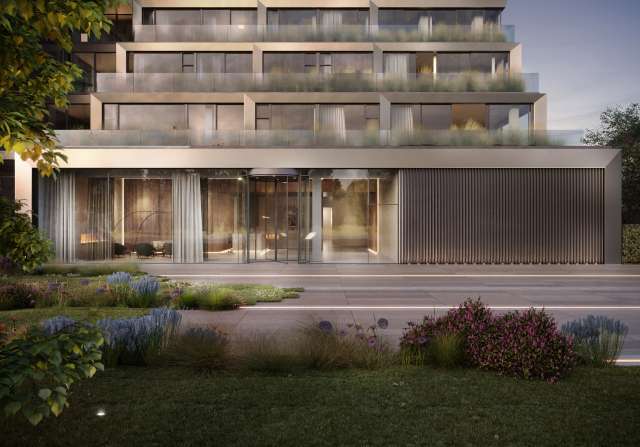 In conjunction with a top-class hotel, what will soon be the tallest residential high-rise in Frankfurt’s downtown Westend district will combine luxurious living with the service of a hotel. 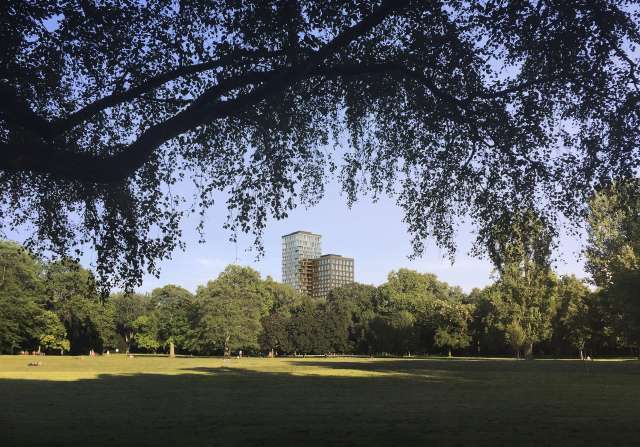 129 owner-occupied units of between 87 and 220 m2 on 26 storeys. 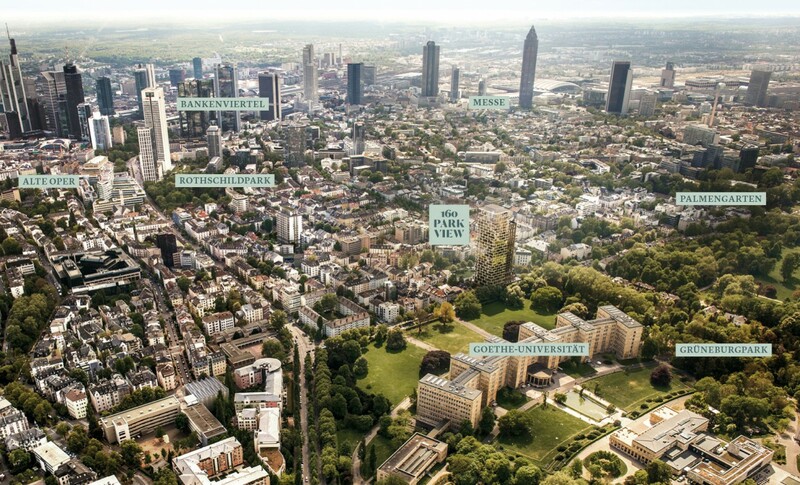 The north part of Westend is without a doubt one of the most beautiful and sought after residential areas of Frankfurt. 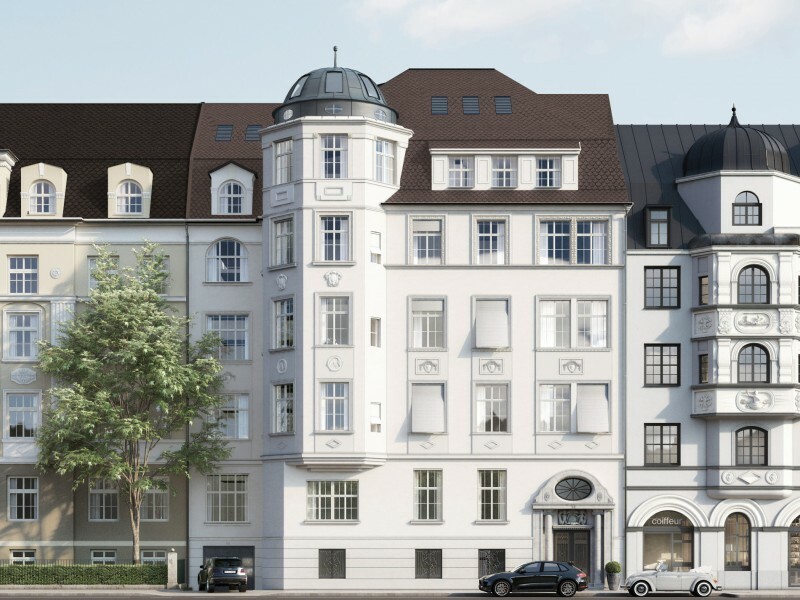 In the middle of the 19th century wealthy Frankfurters erected generously proportioned Wilhelminian-style mansions here, and it is now one of the city’s most sought after residential areas with its perfect balance of urbanity and greenery. 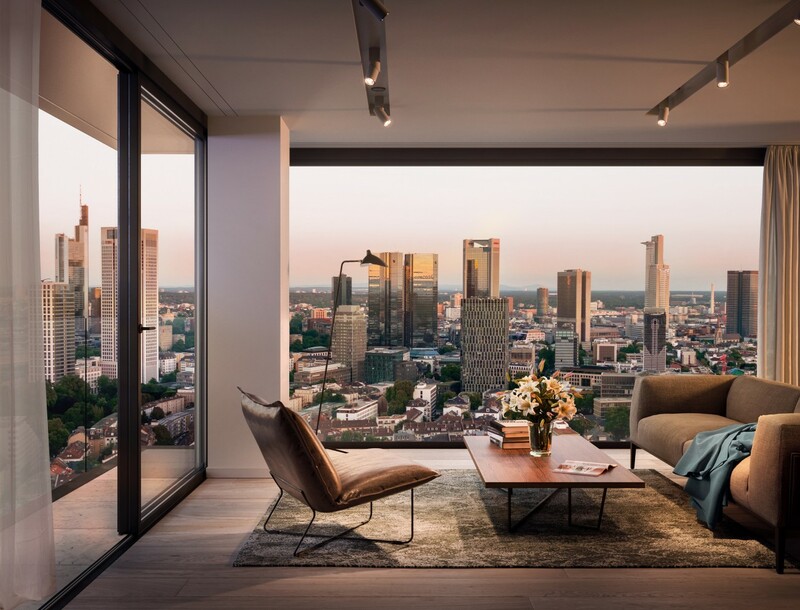 In its ideal location with a never-to-be-obstructed view of the entire Frankfurt skyline, 160 PARK VIEW towers over the quarter. 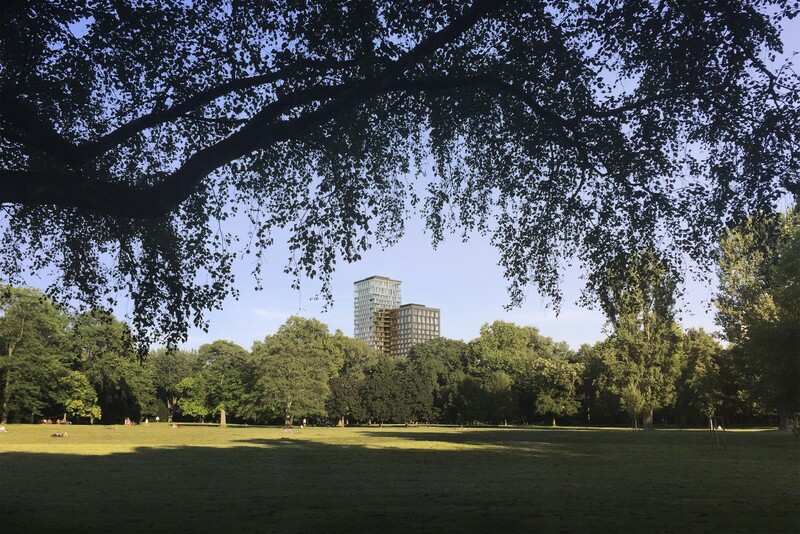 Grüneburgpark and Goethe-Universität lie at the foot of the building, where you can stroll down exclusive retail streets between the financial district and Opernplatz, dine in the city’s best restaurants and enjoy peace and quiet right in the centre of the bustling metropolis. 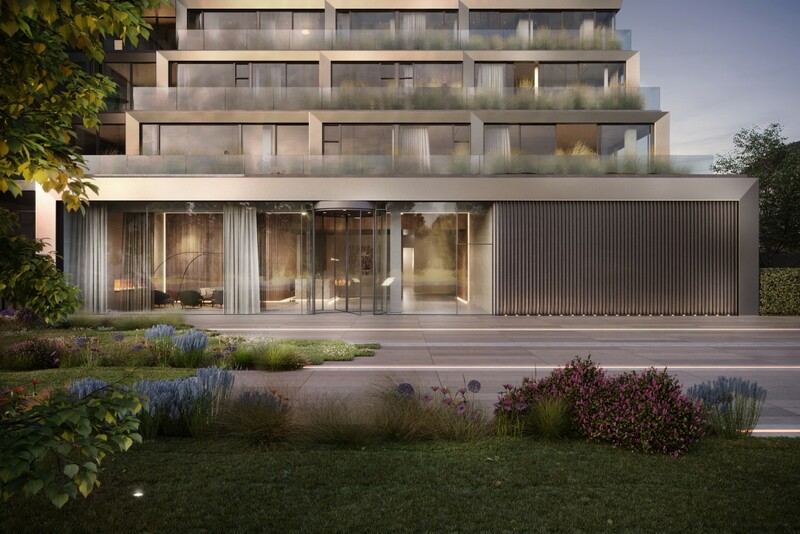 160 PARK VIEW is one of the city’s most exciting buildings. 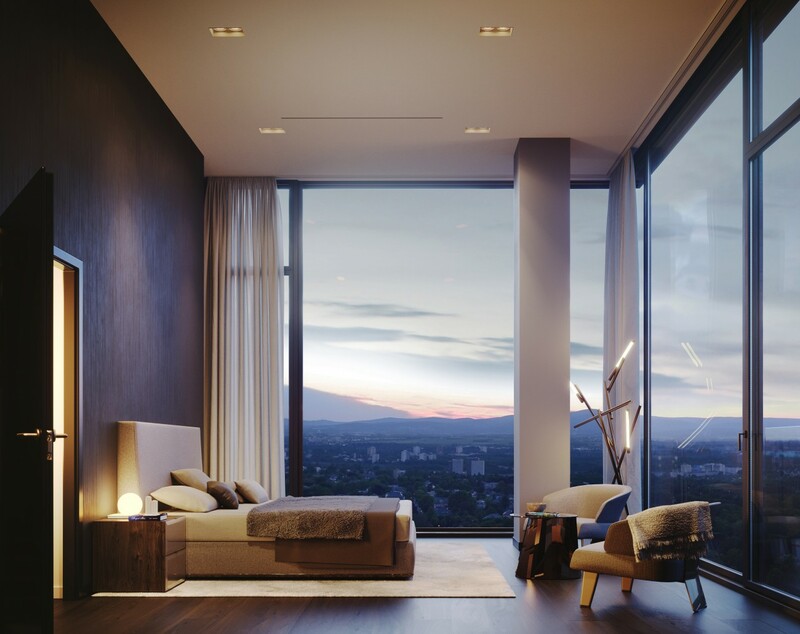 With its 96 metres, it is the tallest building in Westend – and Frankfurt’s most exclusive residential tower: the visionary ensemble combines luxurious living in high-quality flats measuring 87 to 220 square metres with the service of a first-class hotel. 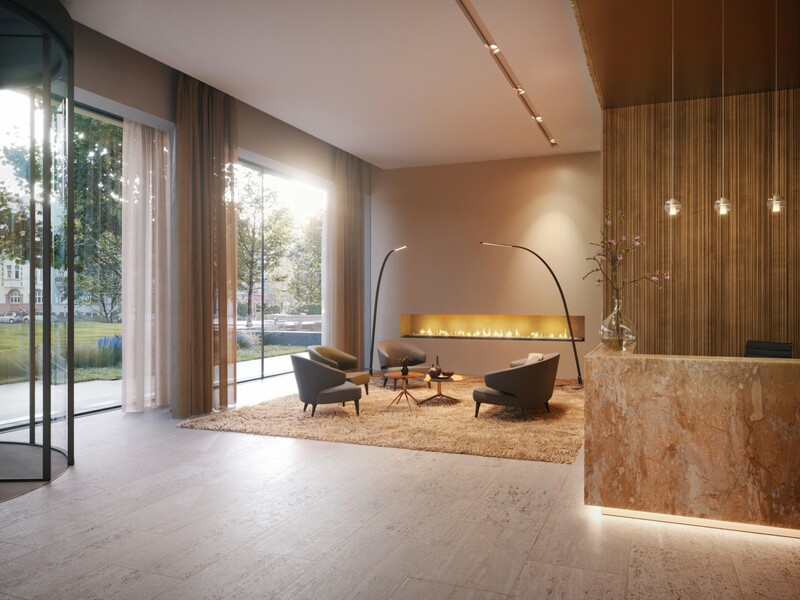 The double towers, which were formerly used as an office building, were transformed into a visionary residential concept by internationally renowned architectural office KSP Jürgen Engel Architekten. 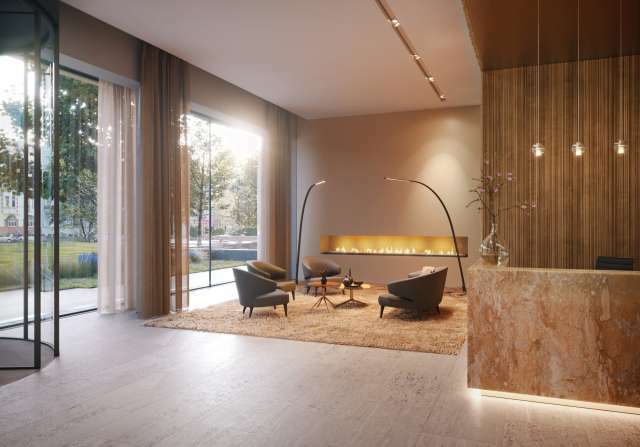 The delicate, champagne-coloured metal façade and prestigious entranceway make 160 PARK VIEW architectonic highlight of Frankfurt. 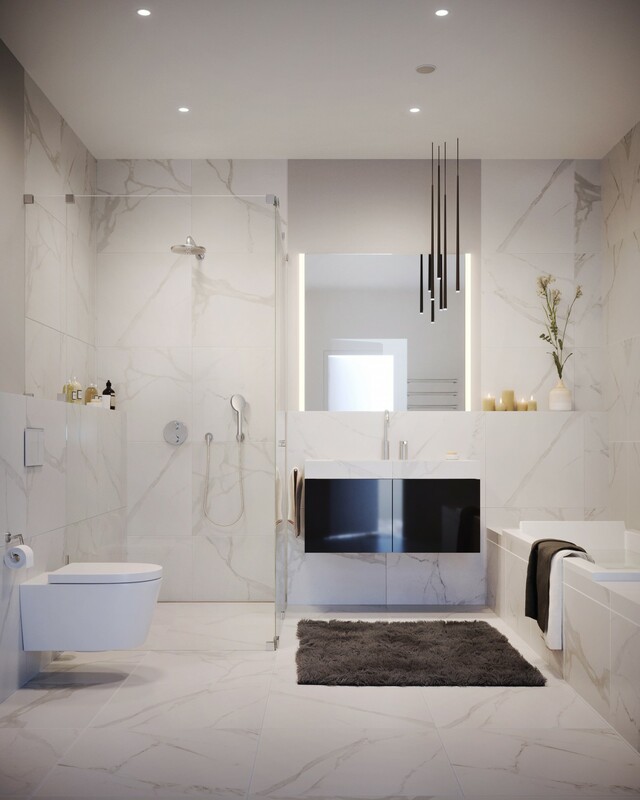 Every unit at 160 PARK VIEW unites top views with contemporary design. 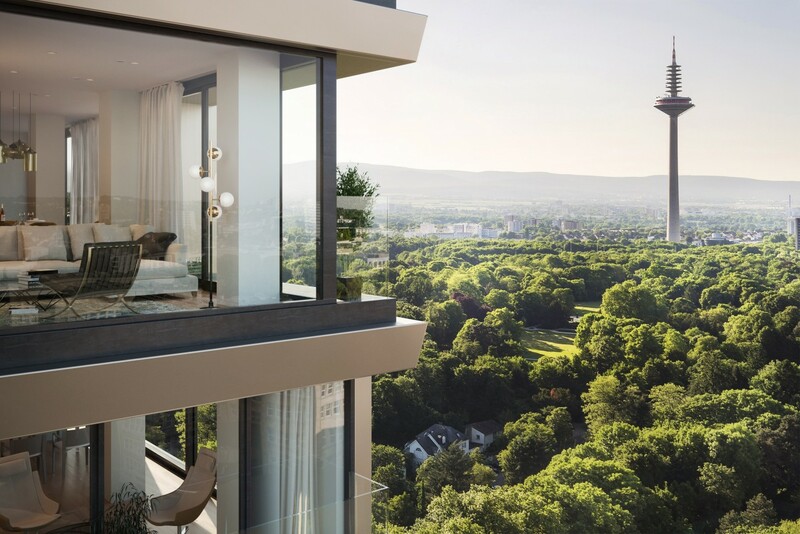 Floor-to-ceiling panorama windows and balconies offer unobstructed views of Taunus, Spessart, Odenwald and most importantly the impressive Frankfurt skyline. 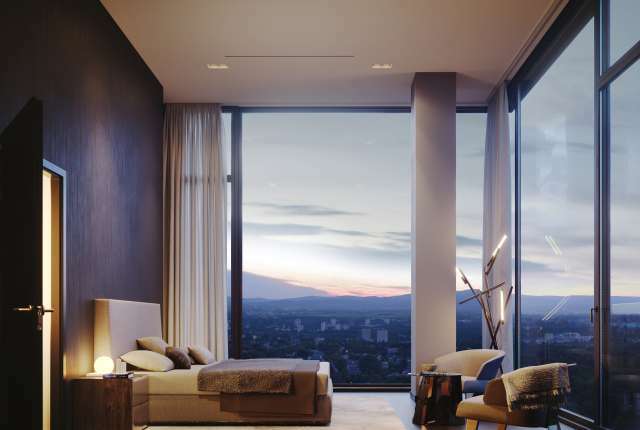 Buy your exclusive real estate at 160 PARK VIEW, and make it your own personal retreat in the centre of Frankfurt. 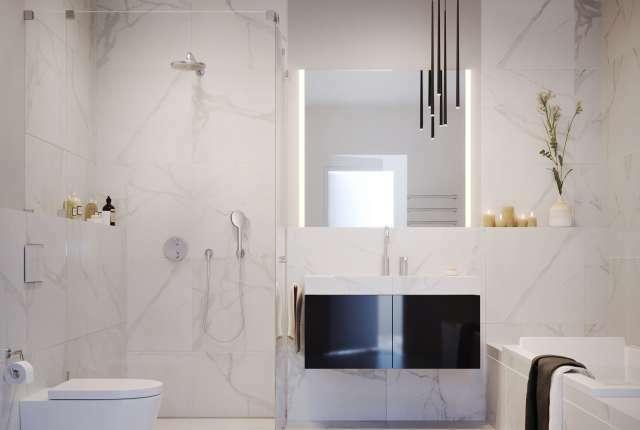 In order to make your choice easier, the architects have put together collections which harmonize style and colour. Please refer to the catalogue of appointments. - Select - building site / sign search engines (Google, Bing, etc.) Social Media (Facebook, Instagram, Linkedin, etc.) press ad newsletter recommendation press article real estate portal post mailing ad surface How did you become aware of us? Your privacy is important to us. Your data will be encrypted via https and security certificate. We only use your data to send you a suitable offer. I would also like to be informed about other interesting objects by newsletter. We’d be happy to meet with you in person if you’d like more information. Please fill in the contact form as completely as possible. We’ll be in touch with you shortly. 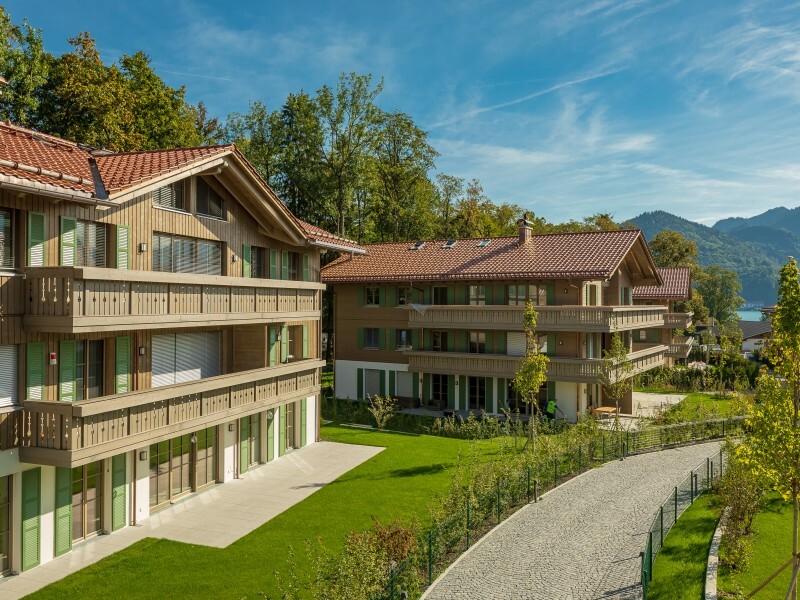 You can also contact us directly on +49 89 255 44 6520 or send us an email: info@than-immobilien.de. * indicates that an entry is required in this field.